Lebanon is a land of immense beauty and important history. Located on the east coast of the Mediterranean Sea, the Lebanon mountain range rises majestically from the sea to snow-capped mountain peaks that reach over 10,000 feet. 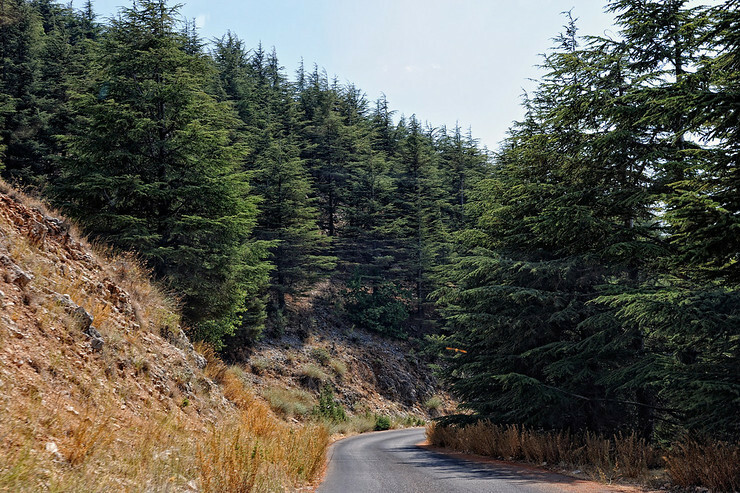 Deep in the mountains in the north are the famous Cedars of Lebanon which are often referred to in the Bible. We read about the cedars of Lebanon in the books of Kings, Song of Songs, Isaiah, and in the Psalms. These trees, which can grow up to 130 feet tall with a trunk size of over 8 feet in diameter, are symbolic of every Christian for a two important reasons. As the cedars of Lebanon are planted by God, so too is the Christian. It is not a work of man and machinery scattering seed that sprouts up into the cedars of Lebanon . . . any more than it is the work of man and machinery scattering seed that sprouts up into Christians. It is only the hand of God that plants the seed in the right soil to produce the desired results, whether He is planting cedars of Lebanon or Christians of the Lord. The second reason these majestic trees are symbolic of Christians is the fact that you will not find an irrigation system watering them. In His providence, God not only plants these beautiful trees, but He also waters them and cares for them . . . just as He does for the Christian. The grace that planted the Christian in the soil of salvation is the same grace that sanctifies him as he grows to maturity. God does not plant the Christian and then expect him to grow on his own, by the spiritual sweat of his brow. God graciously creates the perfect environment for growth and maturity. For “We know that in all things God works for the good of those who love him, who have been called according to his purpose” (Romans 8:28). What a comfort to know that our faith is rooted in the work of God and not our own! Is there anyone reading this today who would take any comfort whatsoever in knowing that you were the one who was responsible for your salvation? Have you not done many things that would cause you to doubt the reality of your faith if you were the one who was responsible for generating it in the first place? I know I have, and it is only in knowing that I played absolutely no role in my salvation that I am secure in knowing it is real, even in the face of my many failures. In the very same way, is it not also a comfort to know that our Christian growth is rooted in the work of God and not our own? To be sure, God’s Word commands us to work and to practice the disciplines of grace: Bible study, prayer, communion with the saints, service, giving, fasting, etc. But it is not in the practice of these and other disciplines that we grow. If this were so, our growth would be dependent upon our effort. Thank God it doesn’t work that way! Who has the strength and stick-to-itiveness to continually stay on track? The grace that made us Christians matures us as Christians. What starts in grace continues in grace, and will one day be completed in grace. God finishes everything He starts and that includes you! (Philippians 1:6).